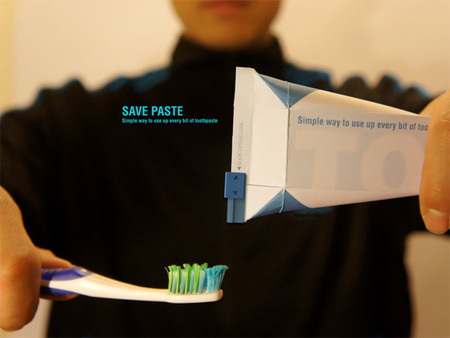 Brilliant packaging designed by Sang Min Yu and Wong Sang Lee allows you to squeeze out every last bit of toothpaste. 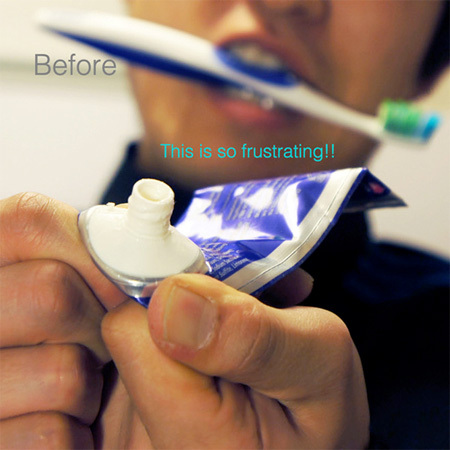 Innovative design eliminates the hard-to-squeeze areas in the container, minimizing the amount of toothpaste left behind. 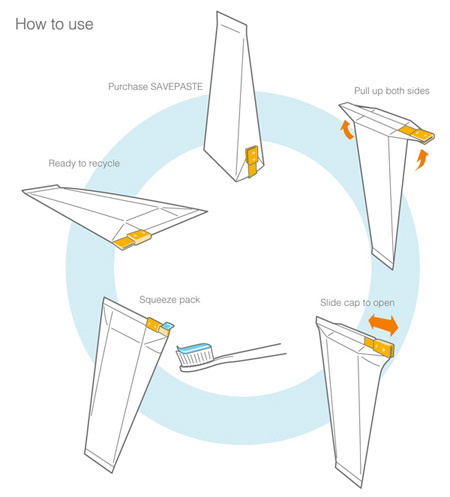 Save Paste concept also merges cardboard packaging and the tube into one unit to reduce waste and manufacturing costs.